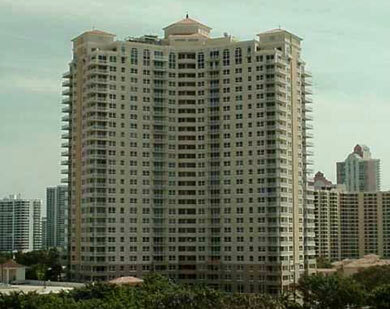 Turnberry on the Green is one of the buildings found within the larger Turnberry Isle, itself a resort community in the city of Aventura. This 27 story building is located on the southwestern side of the isle and features 377 Aventura condos for sale that are near a host of things to see and do and offer high end living plus great vistas of the Aventura cityscape. Living in the Turnberry on the Green condo means sharing the many amenities found on Turnberry Isle which include a gourmet market, billiards, a barbecue area, a lagoon style swimming pool, aerobics and yoga, a “cardio theater” fitness facility, the list goes on and on. The units of Turnberry on the Green are available in five different floorplans named after famous golf destinations and have one, two or three bedrooms. Square footage ranges between 938 to 1675 for the Agusta, Highland, Oakmont, St. Andrew and Spyglass residences. Turnberry on the Green has much to see and much to do and this increases tenfold once you decide to venture off and explore the rest of the city of Aventura. Shop at Aventura Mall or check out the films everyone's talking about in its IMAX theater. Visit Haulover Beach within the city of Sunny Isles Beach, drive north and have a drink in one of the bars in downtown Hollywood, there is never a dull moment by choosing Turnberry on the Green.